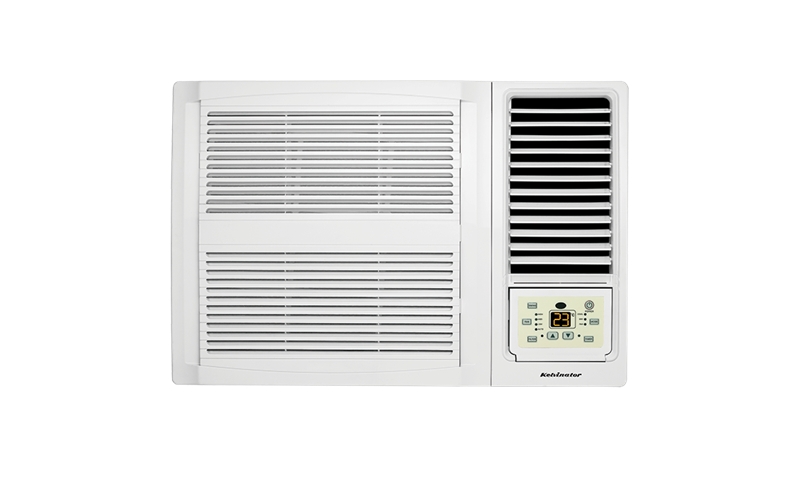 Window Wall Cooling Only Air Conditioner 2.2kW is rated 4.8 out of 5 by 22. Because there are no separate indoor and outdoor units, it’s easier to install a window/wall cooling only model. And because it’s a Kelvinator, you know it is reliable and built to last. The super compact design means that window/wall cooling only air conditioners are discreet and unobtrusive in your home. They are also perfect for cooling smaller family homes and space-restricted areas. The fresh air return provides additional ventilation to your room and can also assist in humidity control. The easy-to-service dust filter removes dust and other larger airborne particles for cleaner air. Kelvinator air conditioners are built for the harsh Australian climate. Corrosion resistance on both the indoor and outdoor units ensures your air conditioner will last, whether you live on the coast or in the country. Rated 5 out of 5 by Homie64 from Awesome instant cooling! I am a nightshift worker and found it so hard to sleep in the heat. Thankfully I brought this little gem before the heatwave and now can sleep comfortably. Quiet and powerful enough to cool all of my little home. So,so happy. Rated 4 out of 5 by NTBBBB from Does the job well Does a great job cooling a 42 cubic metre space. the unit itself is not excessively noisy and the added convenience of a remote control is a definite plus in a high mount application such as mine. Rated 5 out of 5 by outbush from quick delivery I bought this for my child's room it works so well on 24 degrees that she needs a quilt. Rated 5 out of 5 by AliM from Box AC for my shed! Being in the tropics, the heat and humidity made working in my small shed unbearable as there was little air circulation despite having a window. I lined the ceiling and parts of the wall where the morning sun heats the colorbond iron with good quality foil insulation. I then purchased a 2.2kw box air conditioner, cut a neat hole in the side of the shed, lined around it with timber to support the weight and ensure that it was sturdy and didn't rattle when the compressor was cycling. The result is that I can now work in the cool and get my small jobs done in comfort. My family and friends continue to give me a hard time for my indulgence but hey my comfort is now assured. I highly recommend this small but powerful Kelvinator box AC to all the shed men out there - be cool !! Rated 5 out of 5 by Palmer85 from Great air conditioner! I bought this air conditioner a couple of weeks ago. It has a strong fan and the air comes out very cool. It's great! I love it! Summer will be so much more bearable now.